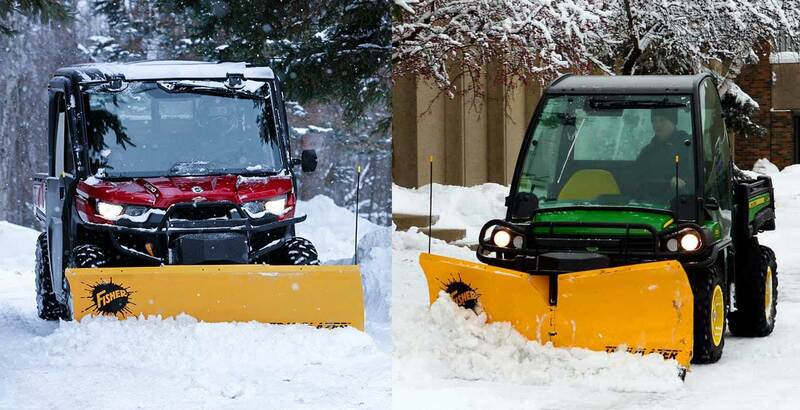 Whether you plow for a living or just want to get more out of your utility vehicle, you can depend on the FISHER® TRAILBLAZER™ line of UTV plows. 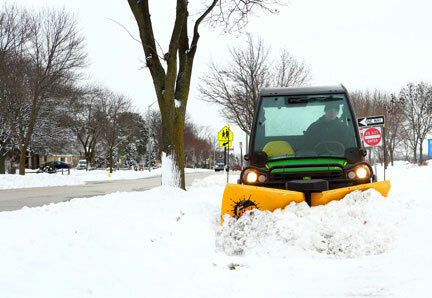 The professional-grade TRAILBLAZER v-plow and straight blade are designed for a wide variety of UTVs and engineered to take the abuse of commercial plowing applications. The 6' powder-coated steel flared moldboard comes with a standard 5" steel cutting edge for a clean scrape and extended wear. At the touch of a button you can transition from the V position for breaking through drifts, to standard straight blade operation, to scoop mode for maximizing carrying capacity and stacking ability. 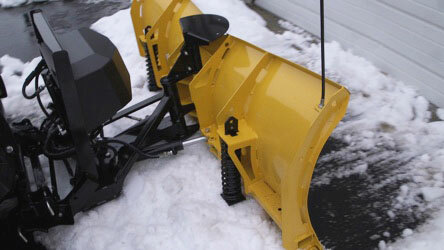 The plow fully angles to 5' wide to fit most sidewalks and through gates. Constructed with high-strength, low alloy steel components that are both stronger and lighter than traditional steel, so your utility vehicle can work hard without having to carry the extra weight on your UTV frame like with heavier plows. 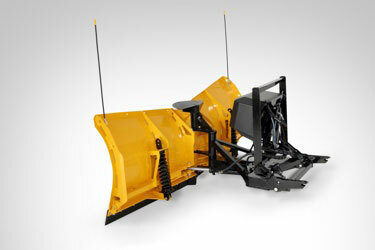 The TRAILBLAZER™ UTV V-plow blade is reinforced with six vertical ribs, and features our proven T-frame design. Double-acting cylinders allow you to operate each wing independently, or set the wings for straight blade operation so you can angle the entire blade left and right. They also use hydraulic pressure to hold the wings firmly in place for clean back dragging, unlike spring-loaded systems, which can collapse under pressure. The "scrape lock" feature automatically locks the blade down to keep it from floating over snow, for an even cleaner scrape. At Fisher Engineering, we build our own hydraulics for unmatched speed and durability. All critical components are fully enclosed for protection from the elements. Designed specifically for UTVs, this hand-held control allows the blade to be raised, lowered, angled or retracted with the push of a button. 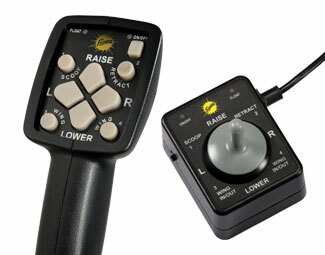 A joystick control is also available for easy blade control operation when wearing gloves. 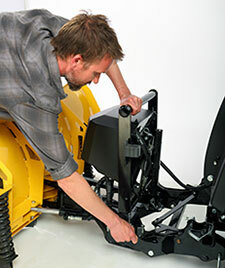 Attaching the TRAILBLAZER™ UTV V-plow is simple. 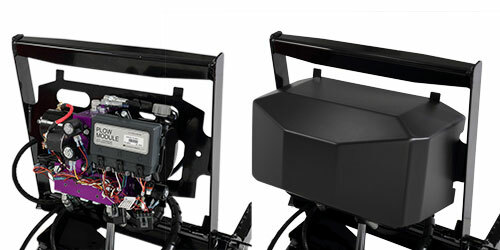 With the receiver brackets installed on your utility vehicle, either drive in or manually push the plow into the receivers. Release the hitch pin handle, plug in the electrical and activate FLOAT on the control. 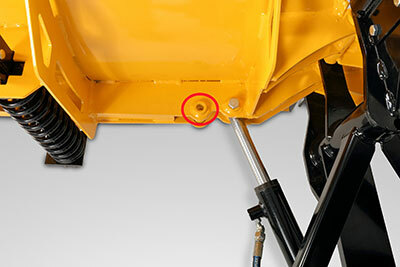 Push up on the lift frame to allow hitch pins to fully engage the hitch pin holes. Verify the lock pin is engaged in the forward hole in the lock pin bracket.